The Green Pea & Salmon Formula contains Green Pea and Salmon as components of the first four ingredients. 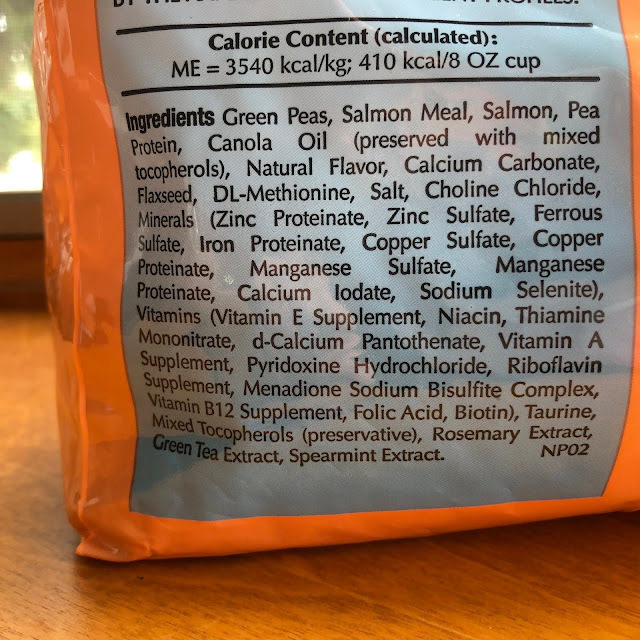 I think this is important because in the short time we're had a cat I've noticed most mainstream cat foods in the grocery store are composed of corn and not much else (as are most commercial dog foods) and that just isn't ideal for a cats diet. 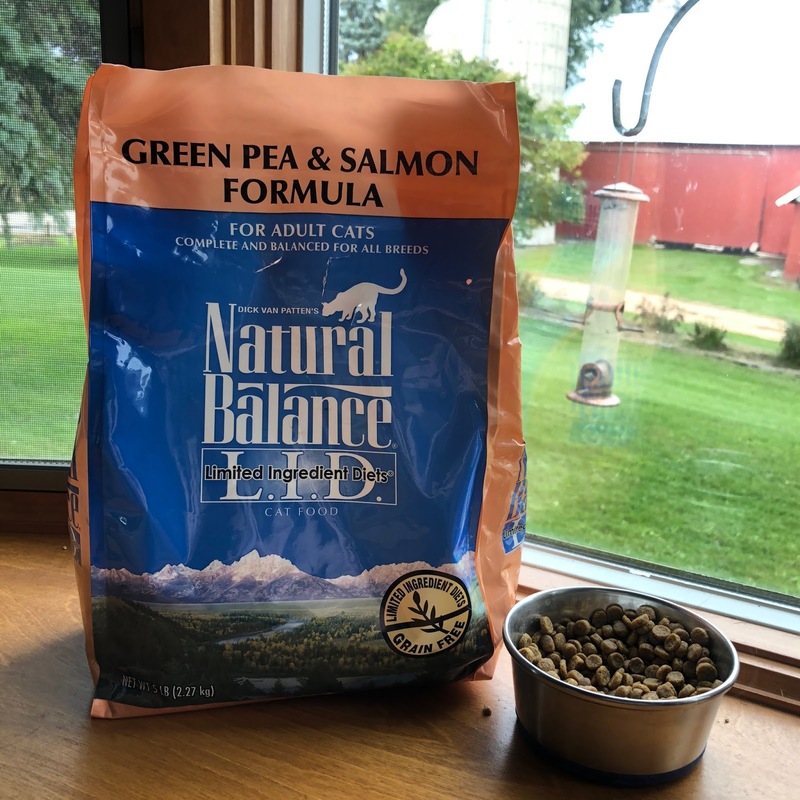 Mittens is on the tail end of this feeding scale, and weighs roughly 15 pounds. 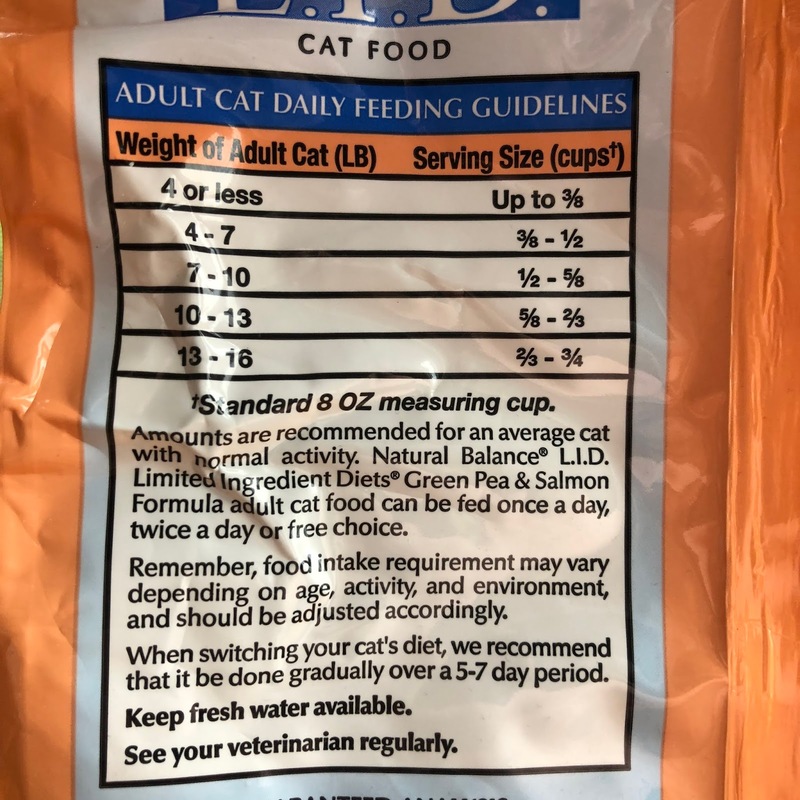 According to the feeding instructions she should be fed about three quarters of a cup of food per day, but if you know anything about [most] cats, it's that they have a fear of death if their bowl ever reaches the point of being half empty. We free-feed Mittens, but I do monitor her intake and find she eats a bit less than suggested for her size. 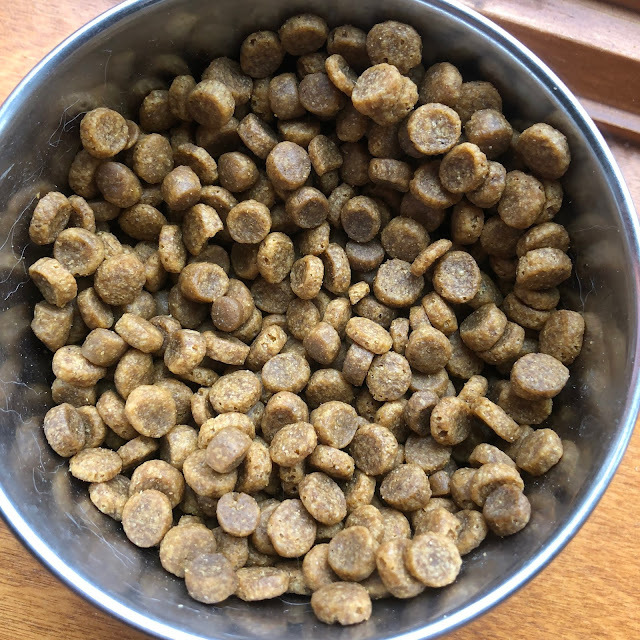 Mittens is not a particularly picky eater - she eats nearly any dry food I drop into her bowl (she's really not a fan of wet food or treats though). However, she seems to really favor this food. Since I've started feeding it, she comes running when she hears the bag crinkle, and she doesn't allow any to drop onto the floor. This is really a good food for her all-around!